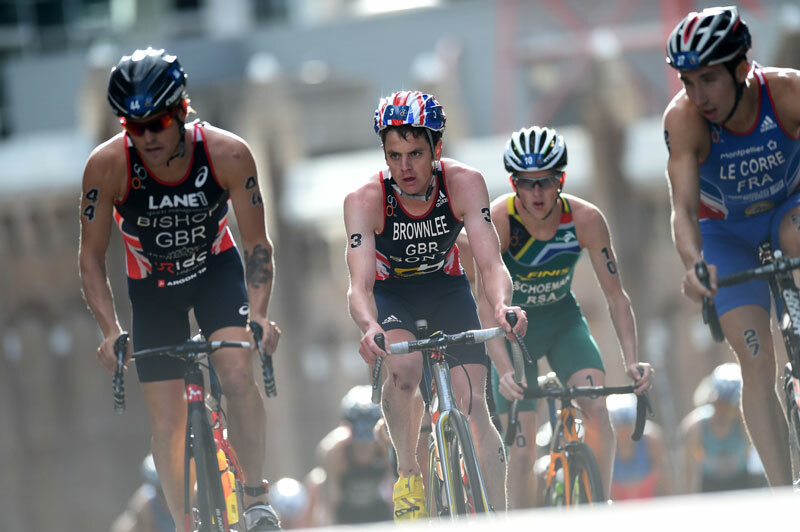 Great Britian’s Jonathan Brownlee finally ended the reign of Spains Javier Gomez Noya in Auckland today at the 2015 World Triathlon Series. Brownlee had not beaten Gomez on three previous occasions he was not to be denied a fourth time. A career best performance from Pierre Le Corre (FRA) saw him grab his first WTS podium. Following a less than perfect start to his 2015 season he turned in a master-class performance over the tough and hilly course. Remaining one of the athletes to beat throughout the entirety of the New Zealand course, Brownlee proved his gold-medal worth once foot hit the pavement and he secured a healthy gap that brought him into the finish-line. Adding a 10-second lead after each of the four-lap 10-kilometre run, he took home the top podium position with a time of 1:55:26. 63 athletes dove into the Auckland Harbour but it was no surprise to see the familiar sight of Richard Varga (GBR) at the front of the pack and first out of the water, a lead group formed crossing through the first transition that remained a tight pack until the end. With the leaders becoming interchangeable, a 15-man lead group held a united front and stayed uninterrupted for all eight laps of the 40-kilometre bike discipline. 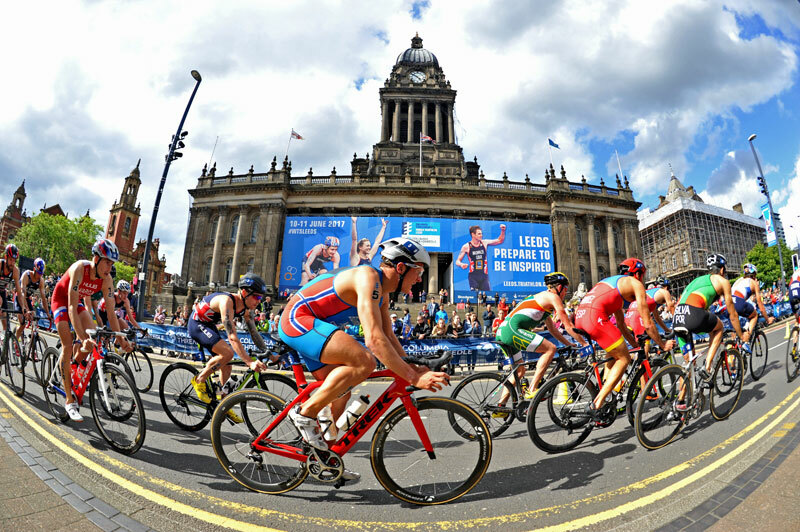 The showcased leaders consisted of Brownlee, Thomas Bishop (GBR), Varga, Gomez Noya, Henri Schoeman (RSA) and Pierre Le Corre (FRA). The chase group, which housed New Zealand’s own Ryan Sissons (NZL) and the WTS Abu Dhabi gold medallist Mario Mola(ESP) could not close the gap and stayed behind by over 30 seconds. Spain’s Gomez returned to form after his 6th-place finish in Abu Dhabi and earned himself a podium position. 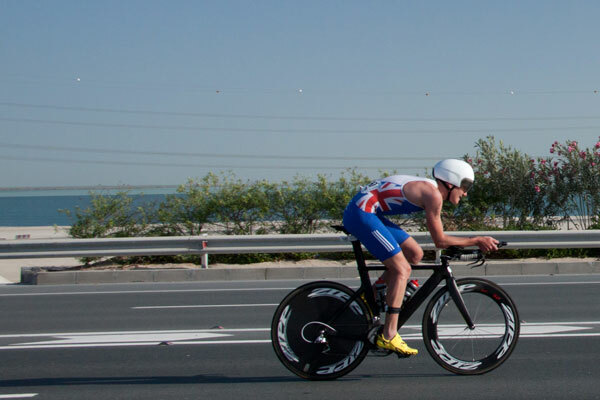 Despite not being able to catch up to the wind of Brownlee, in the final lap he broke away from Le Corre, who finished third, and established the silver medal. This is the first time in the four outstanding appearances in Auckland that Gomez has not placed first—he was the WTS Auckland champion most recently in 2014. “Jonathan was just really strong today. I have been through a pretty tough time lately, I got sick right before Abu Dhabi and between that race and today I was taking a strain too so I am really happy with second place. Obviously I would have loved to win but I performed the best I could,” said Gomez. Another standout performer throughout the day was Richard Varga who lead the charge out of the water and then out on the bike. The strong swimmer was first out of the water and remained a constant competitor among the lead pack on bike, where he also entered with the top time entering the second transition. He finished in seventh place with a time of 1:57:07.